During SSMN’s most recent trip to Senegal, our team was amazed by how many outreach and community building opportunities that were happening in Senegal. One of the team members, Ed Ivaldi, was especially touched by the ministry that Dan, one of the missionaries we sponsor, has started in Senegal. We wanted to share just a small story about what Ed and Bruce Pelletier are trying to do in our community to build up the community in Saint-Louis, Senegal. It is truly amazing to hear that our community here in America is coming together to help another community over 3,000 miles away! Thank you everyone for all your support! 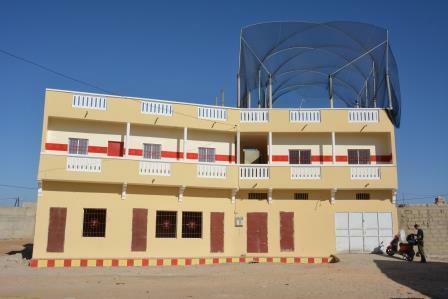 Attached is the most recent photo of the completed Boy’s School!